*Tours start at $49.00 per hiker - For same day availability please call! 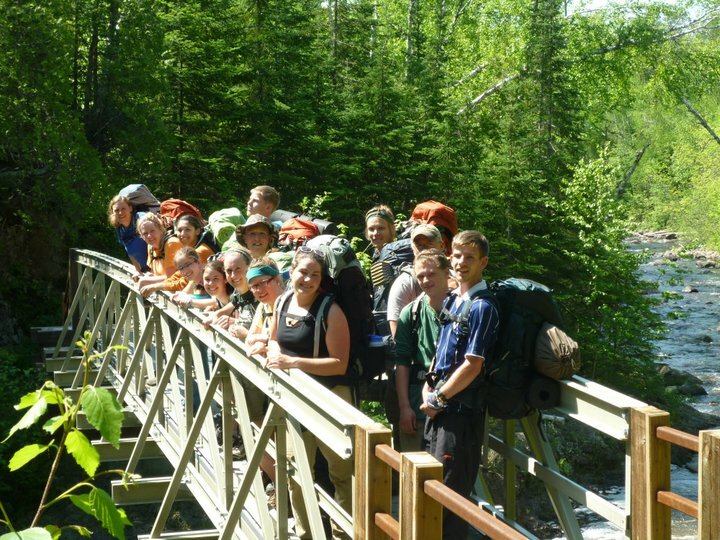 Hiking is a safe, fun way for outdoor enthusiasts of all ages to explore the Duluth area. Our guides will lead you along the many trail networks in the area and teach you about the natural and cultural history of the area. Activities such as measuring the age of towering white pines and bird watching will give you something to remember. This is a great family activity as the youngster can hike along too! We offer hiking trips April through November but may vary year-to-year depending on snow conditions (snowshoeing available in the snowy season). Each tour is guided and includes hiking and outdoor safety tips prior to departure. Our guides will also provide interesting and fun facts about Duluth, the Laurentian Forest, and the North Shore during the tour. This is is a great way to learn about the Northern wilderness. There are tons of spectacular lookout points and interesting sites along the trails where we can stop and take pictures. lease contact us to set up a 4 hour North Shore hike. Our four hour hike is explores steeper and rougher terrain for those looking for a challenge. A gourmet trail lunch from Sir Ben's is included for the longer hike. For popular hike options please check out the trail descriptions below. Bean and Bear Lake - If you're looking for a challenge this is a great option for you. With steep hills, rocky trails, and expansive view (pictured above). The "Twin Lakes loop" is a north shore favorite. Heading out from Silver Bay, this 4 hour loop is well worth the effort! Carlton Peak - We start the hike at the mouth of the Temperance River and head up and up. Along the river we pass by some deep, yet very narrow cliffs as we climb into the hills. As we wind up the trail you'll catch fleeting glimpses of Lake Superior. After a steep rocky climb we top out on Carlton Peak and take in the horizon expanding views from the top of this ancient volcano! After a stop to refuel and enjoy the view we return to the trail head at Temperance River, this is an out and back hike.